OPI 2000 presents a big show June 16 in Fregene, Italy. Headlining is middleweight Domenico Spada, who takes on tough Pole Mariusz Cendrowski in a fight for the WBC Silver title. 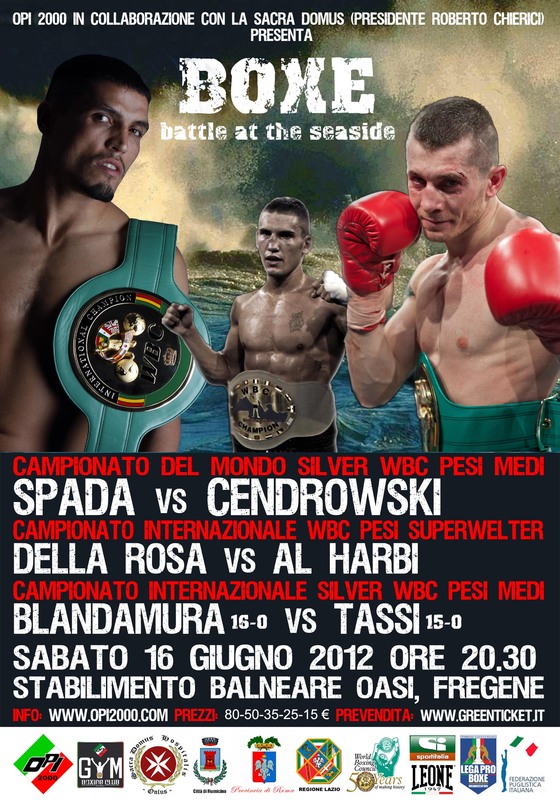 In the co-feature Emanuele Della Rosa square off against Nasser Al Harbi for the WBC Int´l jr middle crown and Emanuele Blandamura face Luca Tassi with the WBC Int´l Silver middleweight title at stake. The show also feature the prodebut of lightheavy Alessandro Sinacore, a former member of the Italian national amateur team.